Heroin and prescription opioid abuse and fatal overdoses are an ever increasing public health hazard. .A team of scientists from the University of Minnesota Medical School and Minneapolis Medical Research Foundation at Hennepin Healthcare have found that Vaccines offer a potential new strategy to treat opioid abuse and prevent fatal opioid overdoses.The researchers are developing vaccines against heroin and prescription opioids, such as oxycodone and fentanyl. These vaccines function by using the immune system to produce molecules (antibodies) that target, bind, and prevent opioids from reaching the brain (the site of drug action).The research team’s pre-clinical studies have been published in Journal of Pharmacology and Experimental Therapeutics, Scientific Reports, and PLOS ONE. 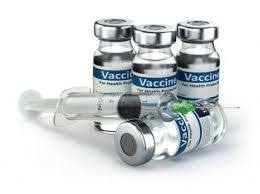 The results support future clinical testing of these vaccines in human patients. novel immunomodulators may offer a solution for improving vaccine efficacy. Pre-clinical studies show that both heroin and oxycodone vaccines are effective in blocking heroin and oxycodone distribution to the brain when subjects are challenged with clinically-relevant opioid doses. Vaccination prevents addiction-relevant behaviors, including opioid self-administration that models human abuse patterns. These vaccines appear to be safe and may help in preventing opioid-induced respiratory depression, a hallmark of an opioid fatal overdose. Importantly, vaccination does not prevent use of currently approved addiction treatment medications such as methadone, naltrexone, buprenorphine, and naloxone. The research team is also working on biologics against other opioid targets, such as fentanyl, and developing more effective next-generation vaccine formulations. “Opioid vaccines show promising pre-clinical efficacy, but the road from the laboratory to the clinic is still long,” said Principal Investigator Marco Pravetoni, Ph.D., Minneapolis Medical Research Foundation senior investigator and associate professor of medicine at the University of Minnesota Medical School.